Regular readers on Golfshake will know how excited I am about the forthcoming 148th Open being held at Royal Portrush. You can hear about my experience of sampling golf and more on the Causeway Coast in the latest Golfshake Podcast. Four hundred guests including legendary golf commentator Peter Alliss and record-breaking champion jockey Sir Anthony McCoy were treated by Tourism Northern Ireland to an impressive combination of vibrant sports, arts, culture and tourism talent to celebrate the arrival of 2019. As part of the evening, the specially commissioned "We've Come A Long Way" film was premiered at the celebration – a spine-tingling feature set to an original poem written by County Down poet Paul Matthews. 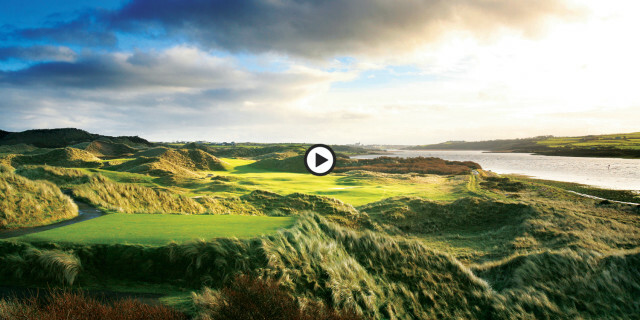 For more on The 148th Open and visiting Northern Ireland, see https://discovernorthernireland.com/. If you're considering a break to Northern Ireland, there are packages and deals available on Golfbreaks.com. For further details about playing golf in Ireland, visit www.ireland.com/golf.